This post has been quite a long time coming. I have been ruminating on it for "some time" but now as I actually look at the date, it's been over a year since I posted Part 1 of The Diagnosis! Wow, sorry to create such an extended cliffhanger! At least I didn't take as long as Pixar did, to release The Incredibles 2. What can I say? It's been a year of seeking God and learning to really fully trust Him, researching autoimmune disorders, trying new meds, adjusting my diet, and getting healthy. As I'm sure is the case with anyone who receives a potentially serious diagnosis, I have spent a lot of time just processing. 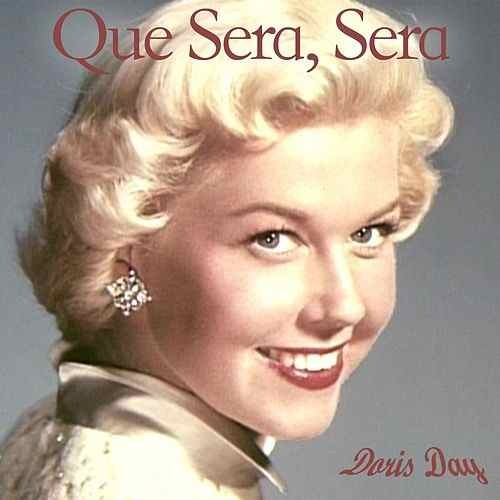 As I continue to wonder "why" in regards to my September 2017 diagnosis of Multiple Sclerosis, I could take an easy route and say 'Que sera sera'...whatever will be, will be. There is no reason. Stuff just happens. No point trying to figure out why. Just read all the info and give in to the dreary reality that you have it and it's going to get worse and all you can do is try to take care of your body and make sure you keep taking the drugs because you don't want a relapse. That would be the easy way to deal. But am I an 'easy way' kind of girl? No. My mother always told me I was too independent. My friend Amber said I have a stubborn streak. I don't want to do what everyone tells or expects me to, or what everyone else is doing. And if that means I do something in a meticulous fashion when there's a quicker way to do it, well...sometimes that's just my choice. And if I refuse to believe what conventional medicine has to say about MS, that's my choice too. Sorry Doris, I don't buy it. I serve a God who can do miracles - a God who has raised more than one human from the dead! My ponderings have led me to consider that if this isn't an attack or a consequence, and if I'm not satisfied with the idea that there is no purpose for it, since God's word tells me that for those who love God, all things work together for GOOD (Romans 8:28), then He must have SOME higher purpose planned to come from this. And that's where I've found my thoughts and prayers dwelling. The higher purpose. And this is the one that bothered me most and the idea that I have spent the last year wrestling with. I have my issues. I mean, I'm not an ax murderer or anything, but my conversation is not always seasoned with grace. I struggle with pride. My daily devotions aren't always daily. I'm lazy about spiritual disciplines. I'm impatient with my kids. And bad drivers. And complainers. And slow internet. On the inside, I know I'm not where God wants me to be spiritually. I have lots - and lots - of room to grow. But I have finally decided that if God has seen fit to afflict me with MS in order to get me to do some serious self-work, well then I will accept that challenge. What can it hurt? Even if this is not the reason, treating it as such can only benefit me and those around me, right? I've spent the last year and a half chewing on these possible explanations for my diagnosis. Which one is it for me? I don't have an answer. So I will continue to love and trust God. I will continue to do my best to walk in holiness, by His grace. And I will continue to seek Him for how He wants me to grow through this. And of course, I'll keep fighting the MS with what I've learned and continue to learn about diet, exercise and supplements. I do want to praise God though - my last MRI (Jan 2019) was the first one which showed NO NEW or ENHANCING lesions on my brain or spinal cord - whoop whoop! I'm stable. My Vitamin D is finally in a normal range. My hands still feel weird but I no longer have constant nerve "pain" in them. My energy level has increased. And going paleo caused me to drop 25 pounds, which have stayed off for a whole year - can I get a Hallelujah?! I feel joy and peace again. My time with God has sweetened over the last year and one thing that has gotten me through is music. A couple of songs, in particular, are linked below. I've written the specific words from each one which minister to my spirit. If you are going through a difficult time, I pray these will minister to you. Give me the strength to be able to sing "It is well with my soul"
I'd been feeling a lot of tingling, and some numbness, and I'd fallen a couple times (which I attributed to the shoes I'd been wearing, which I promptly threw away). Along with that, my gallbladder gave up on life so as my doctor referred me to an internal surgeon for the gallbladder and told me to go fat-free for a couple months, she also ordered some lab work and threw in a referral to a neurologist, just for fun. Okay, I'm already trying to sell my house in Washington, find a new house in Oregon, and get our family packed and ready for the move...what's a few doctor appointments thrown in? After the gallbladder removal, and a result of practically negative levels of vitamin D in my body, and a few MRI's, I met again with the neurologist. Diagnosis: Hepatic Demyelinating Disease, resulting in "innumerable lesions" on the cervical and upper thoracic spinal cord. Translation: I have Multiple Sclerosis. The news came one week before we were to move out of state. I'm 40. I have three kids aged 13, 11 and 8. My husband and I are moving to Oregon for the purpose of re-planting a church, and having spent most of my career in nonprofit administration and management, I have a pretty significant role to play in this journey. And this is the point in my life when I'm told I now have a medical condition which results in extreme fatigue, parts of the body (including the brain) not working properly, and chronic nerve pain. And it's all exacerbated by heat and stress. Well, it's a good thing I don't live in Arizona! However, a ministry life is not always peaches and sunshine. Stress kinda comes with the job sometimes. I'll be honest: I had a little emotional breakdown before the diagnosis, when through researching my symptoms the Lord spoke to my heart that the result would be MS. Of course, the inevitable questions: Why? Why me? Why now? Why would God let this happen when we are in the midst of pouring our lives out for His glory? And one part of me wants to say "It's an attack of the enemy! It's Satan's work! He came to steal my health, kill my body and destroy my life! He's trying to stop our ministry! I won't accept it!" It could be true. Just look at Job - that was exactly his story, and he persevered through the pain and loss, and was rewarded by God for his faithfulness, to even greater blessing than he had before his trials. Sometimes that happens. And I'm not going to close the door in my heart to that hope. But I'm also not going to spend all my waking hours assuming that I am just having a Job experience, and that someday it'll all go away. I don't have the energy to be that girl. Besides, what if it's not an attack of the enemy? What if it's deserved judgment for sin in my life? God is merciful and loving, but He's also righteous and just. He can't abide sin. He requires holiness from his people. 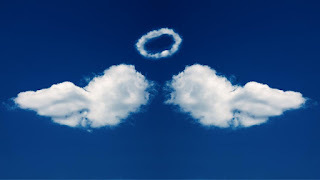 I may not be the same lewd, loose party animal that I was in college but since committing my life to Christ 20 years ago, I'm still certainly no angel! But I know that perfection is not required of me, just a tender and humble heart before the Lord. A willingness to accept His will over mine in any situation, and a daily living, breathing relationship with Him. I got that. I learned long ago that my doing my will and 'following my heart' only leads me astray. I love Jesus more every day, so I don't think this is a consequence of sin. Try me and know my every thought! See if there be any hurtful way in me, and lead me in your everlasting way! Psalm 25 is one cool piece of literature because there is much more there than meets the eye! How do I know? Because the footnote in my Bible tells me that in the original language in which this poem was written (Hebrew), the poem is an acrostic - meaning each verse begins with the successive letters of the Hebrew alphabet. 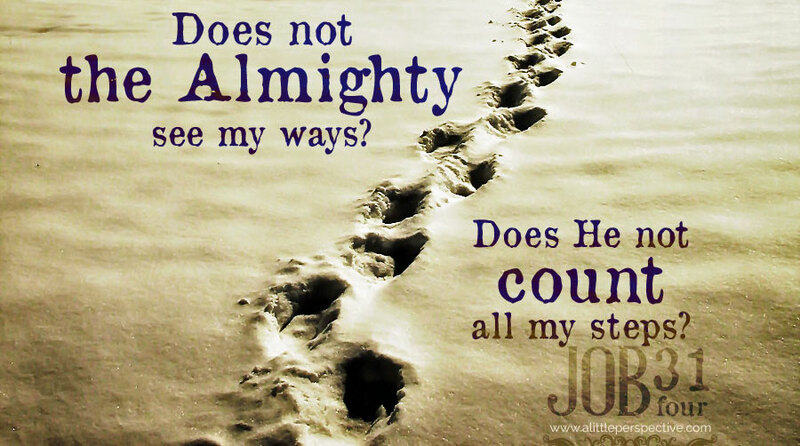 Make me to know your ways, O LORD, teach me your paths. for you are the God of my salvation; for you I wait all the day long. Do you know what that means? It means that for those of us who are faithful to Him and following the paths He lays out for us, ALL our paths will always be saturated with God's love and faithfulness. 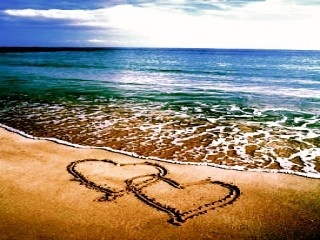 The image that brought to my mind is one our family sees often when we head to the Oregon Coast: hearts drawn in the sand, and maybe some initials or names: D & A Forever. I'm reminded that Jesus draws those hearts in the sand for us. He leaves little reminders along our path of his never-ending adoration of us. I want to follow His path - His plan for my every day. Because I want to seek Him and know Him better, and the outfall of that will be that I get to experience His love and steadfastness always. Is it just me, or does anyone else think that maybe David is being a little delusional here? Dealing with some denial maybe? I mean, how many of us get saved from certain death, say in an illness or a car accident and immediately say "Yep! It's because I'm so Righteous! Thank you, ME!" Haha - no. Does God save us because we are righteous? When the Bible tells us with all certainty that all of us are in a fallen state - there is none that is righteous, no not one. God saves us out of our wretchedness because of His great mercy. In pondering what caused David to write such statements, I have wondered if perhaps David, at this point in his life, only saw God as a 'just' god. Which He is, but if we believe He only allows harm to come to the wicked, and always rewards the righteous, I know I for one would have No Hope. I have no delusions of angelic grandeur resting on my head! I have no halo, and I am not blameless! None of us are. But praise God for how He describes himself in Exodus 34:6: "The Lord, the Lord, a god merciful and gracious, slow to anger and abounding in steadfast love and faithfulness..." That's the God we serve - one who loves and saves us despite our mess-ups and inadequacies. Have you ever read something so many times, that it just becomes words on a page rather than sparking any light of understanding in your brain? Like reciting the Pledge of Allegiance. You learn it as a kid, you say it until you have it memorized, but you don't really know what it means. And then one day you become a parent and you're helping your kid memorize it and suddenly you realize what you're actually pledging allegiance to, and what exactly that phrase means. This verse had become like that pledge in my mind. "I have set the Lord always before me..." Yep, I set him right down on that imaginary pedestal in front of me and like the monks of old, I prostrated myself (laid down flat on my face) in my mind and my will, worshipping the almighty God sitting on the pedestal in front me...Wait a minute, that's not right! He's not a little statue that I carry around in my pocket and rub when I need a miracle! I re-read this scripture recently and was struck at how I'd been reading it wrong all this time. The first phrase says "I have set the Lord always before me" but it's immediately followed by the statement that "he is at my right hand..." - how can that be? How can he be "set before" me and yet right beside me? Because in this instance, 'to set before oneself' means 'to give higher priority to'. He is not a statue on a shelf in front of me, He's my Lord and I must choose daily to give His will priority over my own. Now, there are times when we would say that He goes before us - He leads the way and our job is simply to follow and obey. But there are other times when we are not strong enough to simply follow unaided. In those times, in my life, I've found that God steps back to walk beside us - "at my right hand" - he takes our hand to steady us, to give us strength and courage, and walks WITH us. As I read this, I found myself pausing over the word portion. I've worked in the food service industry. Portion is a word that gets used a lot. In my particular restaurant, we sold 'portion cups' full of hot creamy melted "cheddar" for 25 cents - perfect for dipping those seasoned curly fries in. I can taste them right now...going right to my thighs. I digress. Nowadays, the word portion makes me think more of a bucket of fried chicken - which portion do you like best? I'm a white meat kind of girl. My kids, on the other hand, love those drumsticks. They would fight to the death for the last drumstick. Speaking of my kids, if you talk to them about a portion they might think about maple bars. You see, every once in awhile we'll get maple bar from the doughnut display case at the local grocery store. Just one. How many kids do I have? Three. Yep, they get to share that maple bar. I am firm believer that a maple bar is just too much doughnut for any one child to be entrusted with. So they share. And we have a system in our family for ensuring that the maple bar is evenly distributed. Child #1 cuts the bar into three pieces. Child #2 gets first pick, Child #3 gets second pick, and Child #1 gets the piece that is left over. I'll tell you what, you have NEVER seen such exactly identical portions of a maple bar! No one section is even a millimeter longer than any other! At the time in which David was composing his Psalms, though, and as indicated in verse 6 above, a very significant meaning of the word portion had to do with the land. The Lord had brought his people Israel into the land He had promised them, and when He did so, the twelve tribes of Israel had to divide the land among them. Each tribe (except the priestly Levitical tribe - Levi) received a portion of the land as their inheritance from the Lord. With that terminology in mind, look again at what David says: The LORD is my chosen portion. David says, "Land? Who cares about land. Land changes hands all the time and it can be devastated in an instant. Ya'll can HAVE your land. All I want is the LORD." I can say the same: All I want is Jesus! Look what else David says though: The Lord is my chosen portion and my cup. What? The Lord is my cup? What is that supposed to mean? So, if I dig the Seahawks, should I go around saying, "Bro, the Seahawks are my CUP." Huh? Um, no. In Biblical poetry, to say that someone or something is your cup, is to say that it's your condition in life, your lot, the hand you've been dealt. So it's like saying "Jesus is the hand I've been dealt in life." Whoa! Think about that - really, what more could you want?! You see, we're all dealt a hand of cards to play in the game of life, and if we don't see God in it, we often don't see how we can possibly win with what we've got. We think we've got a losing hand. If, however, we see God's hand in our hand, well then, we know that with Him, all things are possible. It doesn't matter how bad of a hand we've been dealt, with Jesus, we can win! If we choose the Lord as our portion, and let his hand be our guide, we'll see the boundary lines of our lives encompass a beautiful inheritance, which isn't always found only on Earth. It's heaven. For eternity. Don't Just Count Your Blessings, RE-Count Them! It's so easy, isn't it, to get caught up in the struggles of life? Or just the little frustrations and irritations that come day to day. I think frustrations are like the little foxes the Bible talks about - little foxes that sneak into the vineyard to steal the grapes. These little irritations are like little foxes that try to steal our joy. You know, things like the negative work atmosphere, or the family drama, health issues, or bad customer service...But what does David say here? David says 'I will RE-COUNT all of God's wonderful deeds' - His blessings. Demetrius and I went for a little drive up the Washington side of the Columbia River Gorge this fall, in the midst of a LITERAL storm - lightning streaking across the sky, booming thunder, and a torrential downpour. We were driving in this weather, on a twisty two-lane road on the edge of a cliff towering hundreds of feet above the roaring Columbia River, it was more than a little frightening and we even pulled to the side of the road once or twice when the rain was falling so hard the windshield wipers couldn't keep up! Truly, we were driving just fine at a sensible speed, but the people who I assume live in that area and are more familiar with all the twists and turns in the road, were riding our tail like horseflies. That, on top of the unfamiliar terrain and the rushing river and the torrential rain, was too stressful so we pulled over to let them PASS! It can be really tempting in circumstances like that to venture into this little area called Road Rage, but we were so engrossed in a conversation in which we were talking about how God has perfectly placed every little stepping stone in our path over the last 10 years or so, we were not bothered by the rain or the other drivers in the least. We were recalling how, for a lot of years we were really focused on the ground, going "What's our next step?" like we were walking in the dark, and couldn't see what was ahead. But we had fun talking through - RECOUNTING - how in the perfect timing, God has always provided the next step for us. And each little stepping stone that He placed and illuminated in our darkened path was a blessing. It was a step forward. It was a promise that He would direct our path, and not let us stumble even though we felt like we were walking in the dark. It was one more question answered. And it's hard to focus on the negative when your mind is thinking back and re-counting the positives. I think David's habit of not just counting, but re-counting again and again God's blessings in his life helped him to not get so bent out of shape by the little frustrations. Bringing to mind God's amazing work helps us to maintain an attitude of gratitude. And doing so with a friend or loved one who knows what you've been through, or has gone through it with you, helps to grow both of your faith, and strengthens your relationship with each other. Try it! Have coffee or a phone call with someone this week who has seen you through both ups and downs, and let the focus of the conversation be to recount the BLESSINGS. See if remembering His gifts in your life doesn't give you strength and encouragement to keep going! I will sing praise to Your Name, Oh Most High! All Scriptures are from the ESV translation of the Bible. All content is Copyright Audrey Rogers. Travel theme. Powered by Blogger.